The Premier River Cruises' Team are The River Cruise Experts! WE ARE THE RIVER CRUISE EXPERTS! 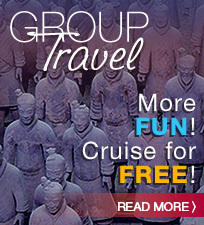 America's best travel agency for river and small ship cruise vacations. Selling cruise vacations since 1984. If you’re like me, you’re reading the “About Premier” section of our Premier River Cruises site to get a feel for who we are and how we’ll help you find the best information about river cruising, great river cruise values, and ultimately to experience a perfect river cruise vacation — right? Okay. But, before we tell you why Premier is the best company for you to buy from, let’s discuss a few things YOU should know about. Things that we’ve learned over 25+ years of selling cruises. First: travel agents don’t actually create your travel experience although a bad one can sure screw it up quickly. Second, every travel agent in the universe cannot possibly be an expert on every cruise line, every ship, every tour company, every hotel, and each destination — nope, just not possible! Along those same lines are two other critical areas you should think about as you wade through all the material you need to consider prior to buying your river cruise. 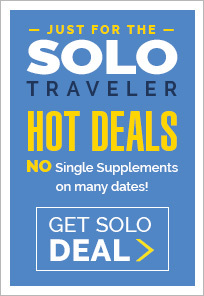 The first one is more about a current “myth” and centers on the belief that many people have, which suggests that you get a “better deal” when you buy directly with a cruise line. That is 100% FALSE! Folks, in my 25+ years of previously owning one of the most successful upscale cruise agencies in North America (CruiseMasters), I have NEVER seen that occur… never… NO NEVER! Let's take a moment to expand on this. In most cases when you call any cruise line you're talking with a call center employee who is probably a "Millennial," may have never seen a river ship or been to your destination, AND their primary job is to get your credit card and then move on to the next caller... right? 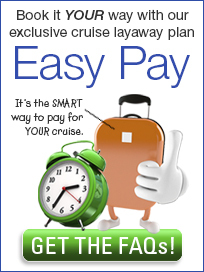 Cruise line call center agents are paid to make bookings and only for that cruise line. At Premier our experienced team of "boomers" want to ensure you select the right cruise and to build a long-term relationship that you truly enjoy so that you'll refer your friends and family to us. Everyone here has at least 20+ years of river cruise, small ship vacations, and international travel experience. We are YOUR ADVOCATE. We look after every element of your vacation like it was our own. That's why noted travel publications and sites like Cruise Critic, Condé Nast and the NY Times recommend Premier so highly. We’ve saved the most important point for last — it’s one of the most essential things you should consider as you move toward buying your river cruise. We find far too many people who buy ONLY for price do not enjoy their first river cruise experience. That’s a fact. It’s an easy mistake to make when you get bad advice, buy from the wrong company, or for the wrong reasons. While none of us like to overpay and we all want the best deal, it’s truly not the deal that makes for a memorable vacation experience. Isn't it really all about finding the right cruise to create lasting memories and experiences? Let’s say you’ve spent time with one of our Premier River Cruise experts and they suggest a cruise at $3500 a person. But, you decide to “down the street” and they convince you to buy a different product at $3000 a person, you think: Wow! We just saved almost $1000, right? Possibly. The truth of the matter is that if their recommendation was not the right product for you, then you DID NOT save $1000, you WASTED $6000, and the only memories you’ll have are bad ones. Not the kind of experience you should have had because you chose the wrong company or wrong river cruise for your vacation. This won’t happen, can’t happen, when you book with Premier, I guarantee it! So… now that we have your attention, I’ll cut to the chase and tell you why you need to book your river cruise or small ship vacation with the experts at Premier. First and foremost, at Premier we ONLY sell river cruise and small ship cruise vacations. We probably know more about river and small ship cruising than any other travel agency in North America and that’s very important for you. That said, we can also arrange low cost flights, great local hotels, unique sightseeing tours with one of our private guides, or other items to improve the quality of your vacation, but first and foremost we'll match you to the right cruise to fit your lifestyle. 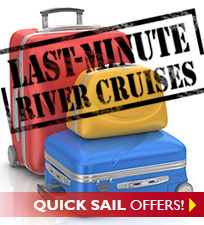 Our river and small ship cruise specialists are simply the best! The specialist you talk with has a minimum of 15 years of cruise experience. Each specialist knows about all the “deals,” has a wealth of travel knowledge about the world, the river and small ship cruise companies, the destinations they serve, and about each of their ships. They'll take the time to understand what you want from your trip and find the right cruise and cruise line for you, and that's just the starting point. Our goal is to provide you the best possible river or small ship cruise experience. The ones you’ll still be talking about when you’re 85 and sitting in the rocking chair on your veranda. To properly do that we must first gather insights into your personal needs, wants and travel desires. Then our specialists blend that information with their personal expertise in order to provide you with a few, very relevant, cruise suggestions that we promise will always meet or exceed your expectations. Sound good? You bet. No matter if this is your first river or small ship cruise (Two must-read articles: Is a River Cruise For You? and River Cruise vs. an Ocean Cruise) or tenth, the key for you is the knowledge and customer service of the company you book with. 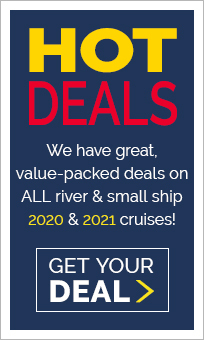 There is no one selling only river and small ship cruises with our experience in providing great values while satisfying discriminating cruise guests… No one! Others talk about their awards they have won (we too have boxes and boxes of awards), but we stand out because our complete focus is on you and your vacation. Period! We have no hidden agenda other than to match you with the perfect river or small ship cruise itinerary, cruise line and accommodations and, oh yes, to ensure you get a great value along the way. You betcha we have a Best Price Guarantee program. Simply stated, we guarantee that no one should have a lower published (internet or print) price than we do at Premier. You can read all about it by going to the Best Price Guarantee page of our website. Our Exclusive COMPASSPOINT™ Guide Series is one of the most important points of distinction between Premier and other travel agencies. Free to Premier's customers, each destination based guide in the series is chock-full of valuable information and hints (written by our staff) that help you plan, prepare, and even pack for your river cruise... right down to what the temperature will be in each place you visit, and best places to shop. It's the only thing you need to feel like an experienced river or small ship cruiser — no other travel agency has anything like these guides. Read more about our COMPASSPOINT™ Guides. Our Remarkable Premier Thoughts Series is exactly as it sounds, our thoughts on each of the key places you will visit on your trip. It's our "Reader's Digest" view of what you need to do and see to maximize each of your port stops. It even outlines great local restaurants we've tried and suggest for your visit — again, no other travel agency in America has anything comparable to our exclusive "Premier Thoughts" series, and one more reason to book with Premier. Our Milestone Events celebration program is the first of its kind in the travel industry. Premier River Cruises rewards you when you have an event — you know, like a 50th birthday or 25th anniversary — one that is truly a Milestone Event! When you book and sail on a river or small ship cruise during the year of your Milestone Event, Premier will provide you with additional cash savings, special onboard recognition and much, much more. Can you think of a more exciting and memorable way to celebrate with family and friends, or even just a romantic river cruise for the two of you? Check out our Milestone Events section for complete details. Think that about says it all. I hope you're convinced that you’ll be in “good hands” with our Premier river cruise specialists. Remember, our goals are to provide you with an exceptional river cruise value, AND to ensure we match your needs, wants, and desires with the best possible choice of a river cruise vacation for you. Thanks for taking the time to read this message, and we look forward to helping you book a hassle-free and memorable river cruise vacation.